Apple’s rumoured budget iPhone has been the talk of the town over the last few days, with what appeared to be a leak of the shell surfacing recently. Further mockups followed suspecting what the budget iPhone may look like. 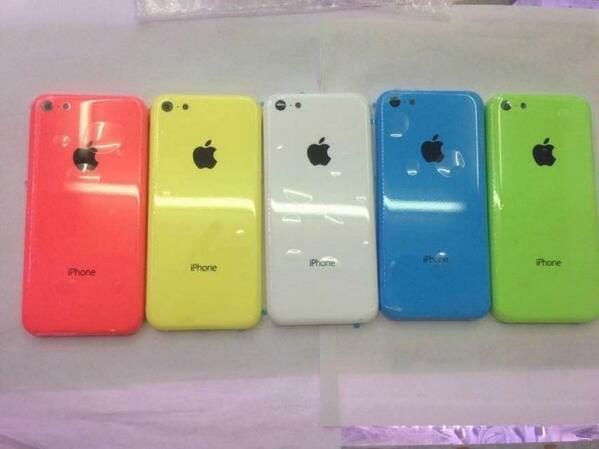 These leaks have continued with new high resolution photos of the budget iPhone shell showing various iPod-inspired colours. This is one of many leaks that have shown what is thought to be the budget iPhone and the plastic shell that will enable Apple to target a cheaper price point for the device. The multiple leaks only add evidence to the claim that the budget iPhone is already in mass production and is looking to be released very soon, likely in September alongside the new iPhone 5S. It is said to be constructed of both polycarbonate and metal, with a design like the iPhone 5 being offered in the same colours we’ve seen in the latest iPod Touch, with a price around the $300 mark. The budget iPhone is expected to be slightly thicker than the iPhone 5, more similar to what the iPhone 4 looks like, but will feature a 4-inch screen, lightning connector, and a headphone jack on the bottom. It may seem like not an attractive device for most, especially if you currently have an iPhone 5, but the purpose of the budget iPhone appears to be to target the numerous low-end Android devices that are saturating the market and causing Android to gain valuable marketshare from iOS. With a supposed low-end budget device, together with a higher-end premium iPhone 5S, Apple could offer a device for multiple consumer budgets, bringing a premium experience to those that may have not been able to afford it. Are you in the market for a budget iPhone or do you prefer a more premium device? Let us know in the comments section below.